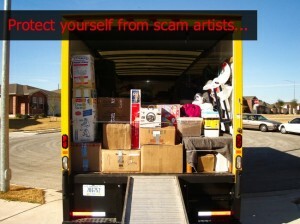 It’s a sad fact: bad people do exist in the moving industry, and they are called scammers. Moving company scams are a real problem in our industry, and this article is intended to help educate consumers on what to look out for and avoid. Moving your possessions from one home to the next is a big responsibility to place in the hands of people you don’t know. Unfortunately, many movers don’t see it that way and will stop at nothing to squeeze more money out of you. To avoid falling into this scary trap, make yourself aware of the most common moving company scams, and be prepared to combat them. 1.) 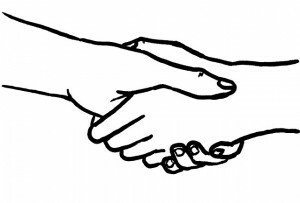 Movers Concealing The Company Name: This happens when a moving company answers a phone without telling you the company’s name, or when they dance around the subject when you ask about the company. 2.) Movers Stealing Your Belongings: This happens when a moving company holds your belongings hostage and demands higher payment for their repossession. 3.) Movers Giving Fake References: This happens when a moving company gives you false customer references to boost the reputation of the company. 4.) Movers Charging Extreme Fees: This happens when a moving company charges you unexpected fees without notice once the move is complete. 5.) Movers Requiring Payment Up-Front: This happens when a moving company demands up-front deposits or payment in full prior to completion of a move. Avoiding moving company scams such as these can be easy, as long as you know what to ask a moving company and what to look for. For starters, you’ll always want to choose an experienced company with a history of moving happy customers. You can find this information by researching the Internet and reading reviews or asking by word of mouth. A good resource to check is the Better Business Bureau (BBB). If the company is not registered with the BBB or does not have any form of trackable record on the BBB, that could be a red flag. Another way to prevent moving company scams is to plan ahead. Schedule your move as far as six months in advance to ensure yourself the time it takes to research and book a quality moving company. Be sure to ask for a complete contract prior to the move that outlines all the charges and fees beforehand, and always be weary of up-front deposits. Bonus Tip: Internet only moving companies could indicate a scam in the making. Most good companies will have a storefront to provide additional customer service beyond the web. When you decide on a moving company, visit their storefront to meet the staff and inspect the trucks they use. It will give you some insight on how they treat their customers and their belongings. 1.) Ask the company if they’re bonded and insured. All good movers should be. 2.) Ask the company for credible references. If they can’t give any, run for the hills. 3.) Ask for a complete contract with charges, fees and expectations. If they refuse, they’re not a company you should choose. Have you been a victim of a moving scam? Share your experience in the comments below. This entry was posted in FAQ's, Moving Stories, Stress Free Moving Tips. Bookmark the permalink.